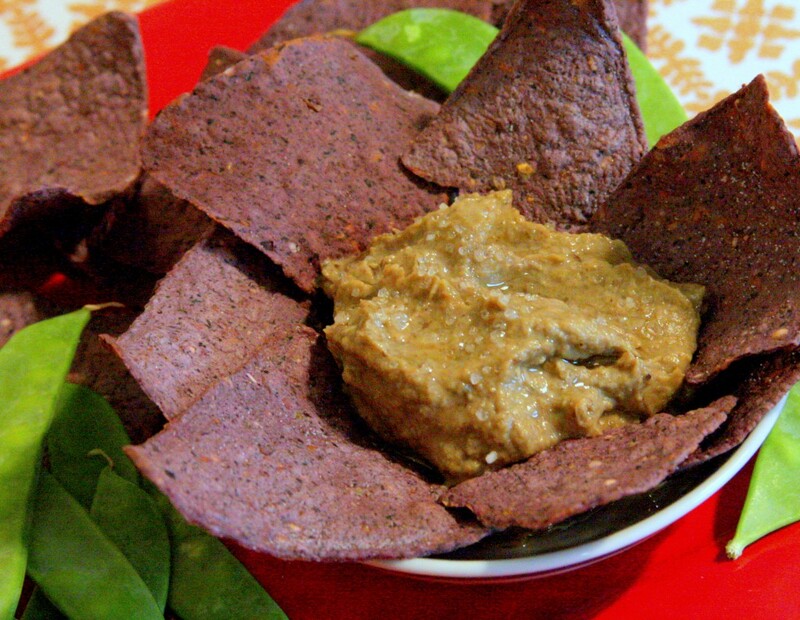 OK, Smoky Roasted Eggplant Dip. Its ridiculously easy, and has the most unusual flavour I have encountered since trying truffles for the first time. I read about it in the Food and Wine magazine- and was intrigued (my ‘stressful’ ‘research’ consisted of lying on lawn chairs in the sun accompanied by a glass of red while my unruly grass remains blithely uncut). What caught my attention about this was the simplicity. I had to try it to see if it really did deserve the ‘best new find’ label from some big name chef. The eggplant is double roasted until the skin is charred black and easily breaks(smokey flavour), and the insides are sticky and concentrated and caramelized. A little olive oil, and salt. Perfect. Suprisingly complex flavours. Not like a truffle, (nothing is), but totally unique. Hm. I bet shaved truffle in this would be delicious, though! Make this when its a rainy day or you are spending the day around the house- its low maintenance but it takes a while to make. 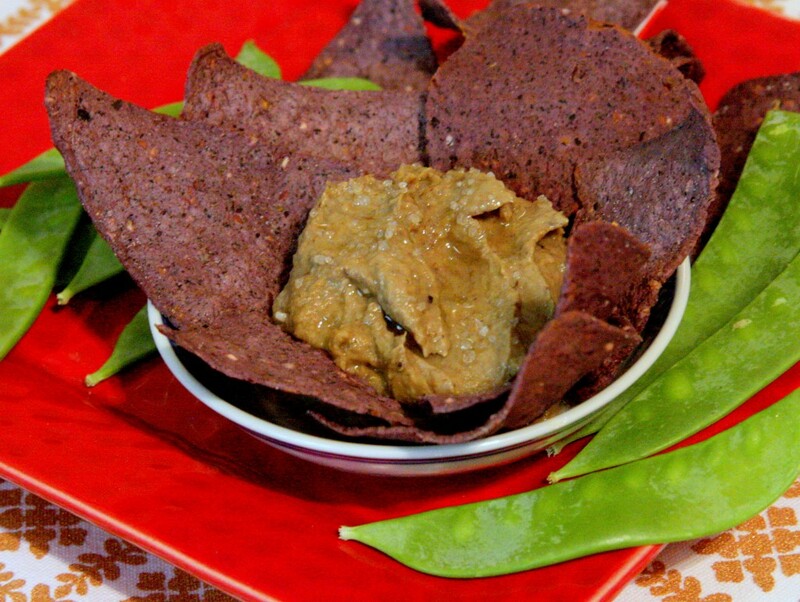 Great with blue corn chips (if you can have corn), or rice chips. Would be super with roasted pita bread chips, if you can eat wheat. Or eat it with corn-free, gluten-free nacho chips. Note: I suggest doubling or tripling the recipe- one large eggplant reduces to a scant cup of dip. (Crazy!). Pierce the eggplant skin once or twice so that the skin doesn’t burst or split. Turn over, and turn the heat back on- cook for another hour (the skin should start to be charred and brittle). Let the eggplant cool till just warm, open it up, and scrape out the insides. Blend with a hand blender, olive oil, salt. Note: To kick this recipe up a notch, replace the regular olive oil with hot pepper olive oil… mmmm…. thanks kristina! i ate the whole thing for dinner :D deeeelicious!